Many people think they need a licence to take a canal boat on the waterways but this isn’t needed at all. Neither is any previous boating experience. 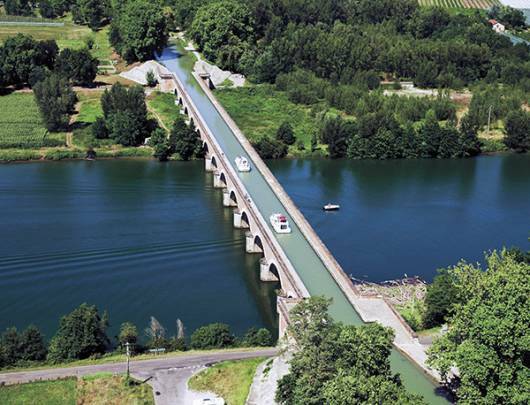 French legislation allows for waterways navigation without a license for rental vessels whose length is less than or equal to 15 metres and whose speed does not exceed 12 km per hour. 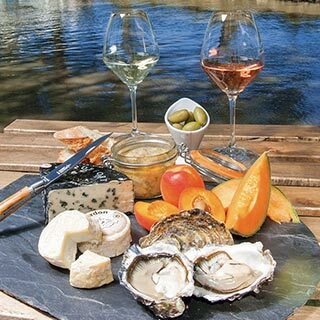 So, all those dreams of cruising in a canal boat on the rivers of France, the Canal du Midi or the Canal of Burgundy are simple to make come true. Waterways cruising is accessible for all. In just a short time with some simple guidance, novices can safely control our canal boats and they are all specially designed to operate within the regulations so no licence or experience is needed. engines which are limited so they cannot exceed the maximum allowable speed of 12 km/h cruising without a licence. However, this does not affect your journey at all as speed is often limited to 6 or 8 km/h on some channels and even 3 km/h when passing through ports and villages. B. A licence is needed if towing one of our exclusive splash pools behind any of our boats that are 13m or more in length. If you need to obtain a licence you should consult a company or organisation in your home country that can help you with the necessary training course and exam. Nicols makes becoming a captain easy. No licence? No problem! No experience? No problem! Nicols has made sure its boats are easy to drive so even if you’ve never been on a boat before, you can be captain in no time! 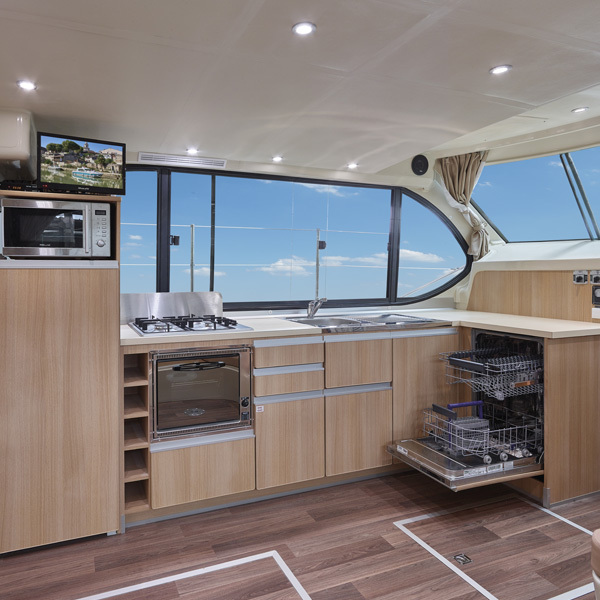 On the day of your arrival at the Nicols base, a member of our skilled team will welcome you and show you around your boat before giving you clear, simple, hands-on instruction to introduce you to waterways cruising and put you in full control of your canal boat. You will learn all you need to know such as how to dock your boat, how to pass other boats and, wherever possible, our team member will accompany you through the first lock of your journey so you can become confident in this part of canal boating. Very quickly you will know all the elements of enjoyable canal boat cruising, mastering forward and reverse manoeuvres, slowing, stopping and mooring. Just like the rest of life on the water it’s all about taking your time. Calmly, you will discover the many pleasures of a canal boat holiday. Companies offering canal and river boats for hire, like Nicols, are specially classified to enable them to rent boats to holidaymakers with the provision of suitable instruction. At the end of the holidaymakers’ “apprenticeships” they can sail the boat on a "pleasure card". Your instruction is provided when you arrive to collect your canal boat and will explain all the main manoeuvres you will need as well as the rules of navigation on the waterways. When you collect your boat, one of Nicols team will undertake our obligation to provide you with an introduction to navigation. They will give you all the necessary information to carry out your planned route without the need for a licence. Holiday-specific information included in your instruction covers items such as the types of locks that will be encountered and any peculiarities of the region. If you are a novice, the instructor can recommend the route for a calm and quiet stat to your cruise, giving you time to familiarise yourself with your boat. You will also be informed of any navigational difficulties and provided with all the information you need to know for handling weather events, especially in the event of a flood even though these events are rare. You will also receive information on the operation of the boat and its safety equipment. Rest assured, you will be able to contact the base team if needed. During boarding, our team will give you the telephone number of our assistance service - available 7 days a week during office hours. In case of difficulty or if you have any doubt about what to do during your cruise, do not hesitate to call. They will be happy to inform you and help you. Remember, 85% of our customers are novices, with no license or navigation experience! So, like them, you should have no hesitation in discovering the pleasures of waterways holidays and embark on an unforgettable cruising experience! The waterways welcome many users such as commercial boats, rental boats, passenger boats, hotel boats, barges, experienced or occasional boaters, water sports enthusiasts and water skiers. As a result, non-compliance with regulations can lead to problems and conflicts of use. 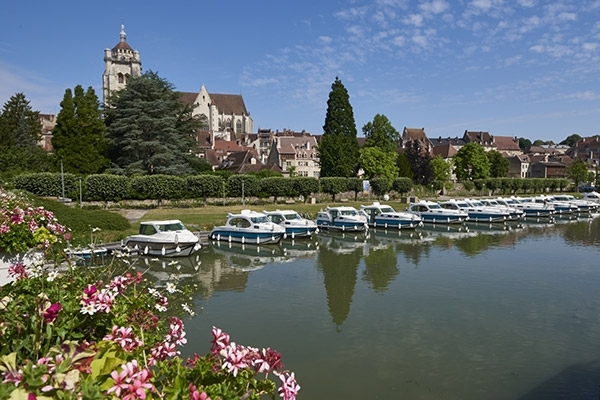 If in France, regulations for unlicensed boats allow you to rent a boat and drive without holding a licence, or without any prior experience. However, you must always respect the simple rules must, especially in terms of signage. The visual signalling of the navigation code is simple and has many similarities to road signs. Towards the upper part of the river, against the flow of water coming from its source. Towards the lower part of the river, in the direction of its mouth. This term means the boat is heading downstream, that is to say, it is following the direction of the current towards its mouth. On a canal, this means that the boat is taking the locks in the downhill direction. Left side of the boat when looking forward. Sidewall of a lock, whether vertical or slightly inclined. Put the boat in reverse to stop it. Part of watercourse or canal between two locks. The highest point on the canal where the watershed is located. A metal or concrete mooring point affixed to the bank or quay which makes it possible to be moor the boat. Path alongside the canal or river which was used until the beginning of this century for horses or men to pull barges. This is the navigable area indicated on the maps that you must follow very carefully to avoid any danger such as rock, silting, pegs etc. The lowest level of a watercourse or canal. Part / volume of the boat above the waterline. The higher the volume above the water, the more your boat offers a great hold to the wind. So always take this into consideration for your manoeuvres. Long wooden or metal pole with a hook at one end. The use of your gaffe during docking or unloading, in the locks, will facilitate manoeuvres and avoid shocks to the boat. Band of rubber or wood running around the hull of the boat to protect it. Almost all boats are equipped with a liston (often only one, two or even three on some models) to which is added the additional protection offered by fenders. Boat navigating upstream, that is to say, it is travelling against the direction of the of the current, heading towards the source. On a canal, this means that the boat takes the locks in the uphill direction (like a staircase). Depth of a waterway (such as a canal or river at 1.40 m of mooring, for example). Round or oval protection devices - inflated with compressed air and arranged in a string around the hull to protects it from possible shocks. In general there will be 8 to 20 of these items which are designed only to burst only under violent shocks and should be left in place even if you consider them unsightly. This is the part of the lock between the two upstream and downstream gates. The duration of time that a boat remains in a lock. This depends on the height of the fall as well as the size of the lock. In general, it takes about fifteen minutes per lock cycle. A kind of step located on the side of the upstream door in a lock which must be used with great care. Metal fixing piece on a boat where you can attach and tie a mooring. In general, the boats are equipped with two cleats at the stern and one or two cleats at the bow. Height between the water level and the keystone of a structure such as a bridge. Vertical distance between the lowest part of a boat (usually the keel) and the waterline. The action of overtaking a boat travelling in the same direction.